If you’re a pet owner you know how hard it is to keep the house clean. Especially if you’re crazy enough to have THREE dogs. 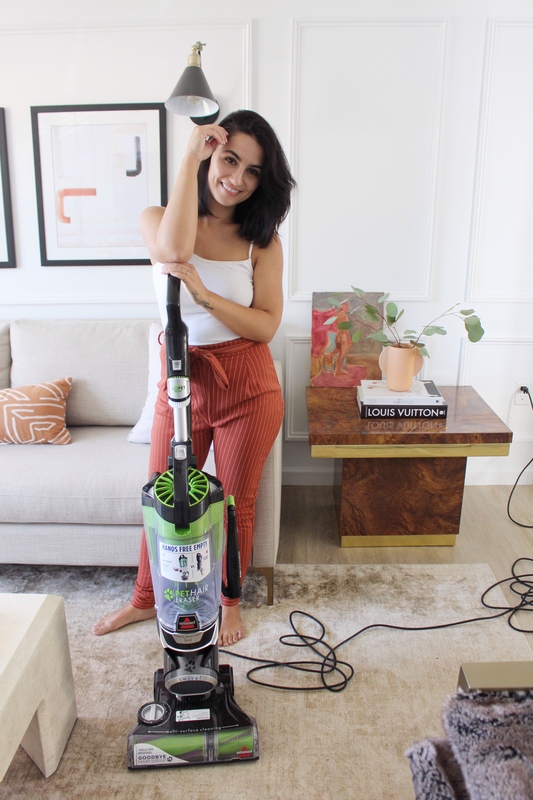 I’ve done the work for you and found the perfect vacuum to keep your home sparkly clean! 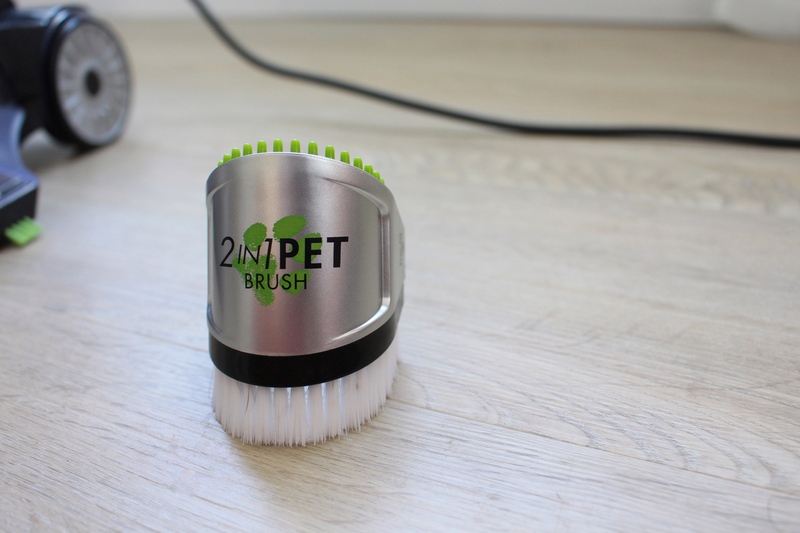 It’s the Bissell Pet Hair Eraser from P.C. Richard and Son! 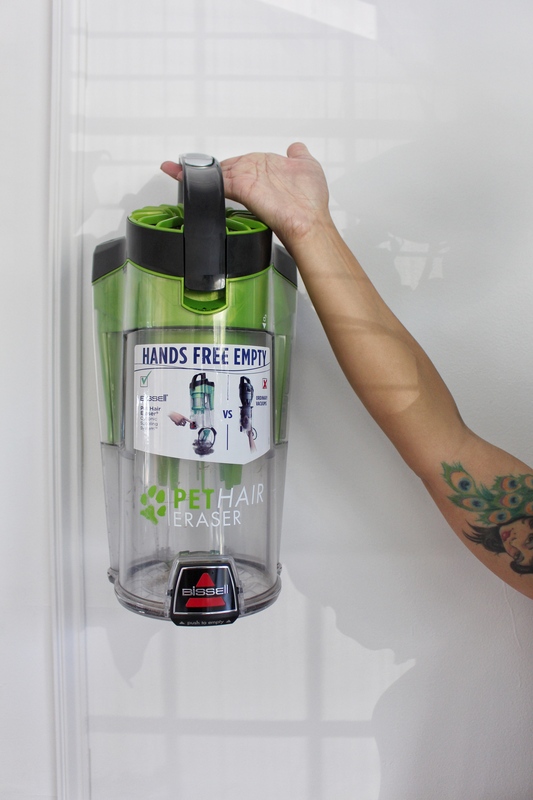 It literally erases the pet hair. 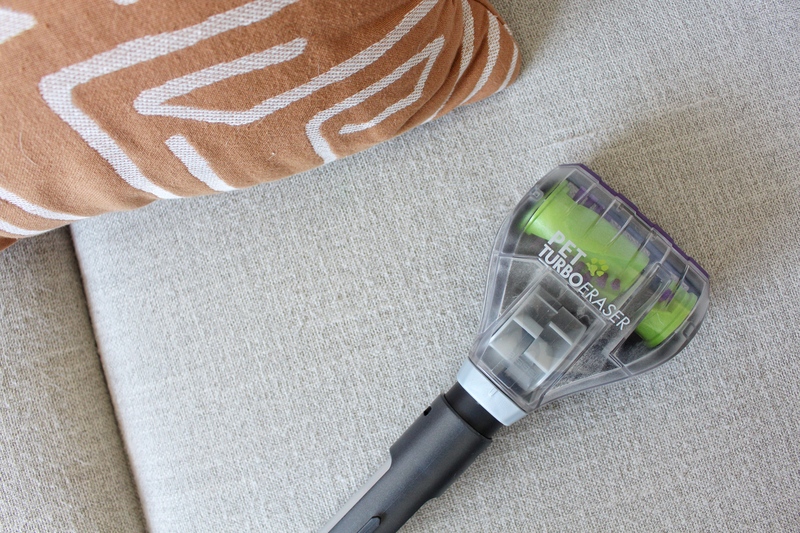 I thought my rugs were kinda clean before I got the Bissell… I was wrong. 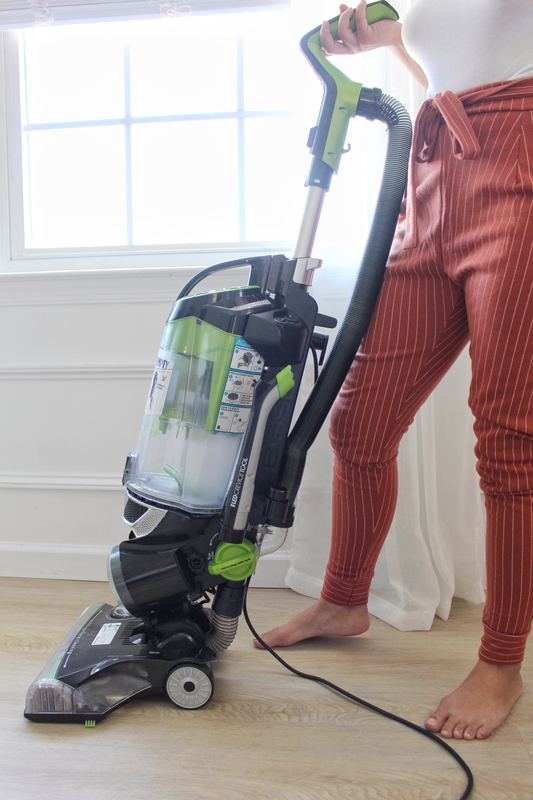 I wanted to tell you all about my experience with this vacuum because it can be a little intimidating to go into a store and see a bunch of vacuums. 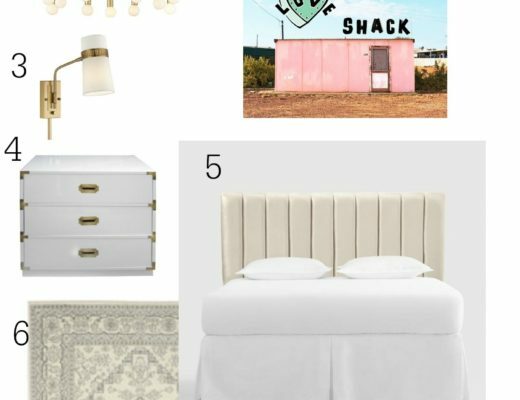 It’s like picking out a pillow… they all kind of look the same right? Not only that but it can be an investment sometimes for a nice vacuum and you’re not even sure if it works well yet. I found the perfect vacuum at P.C. Richard & Son for you fur parents. 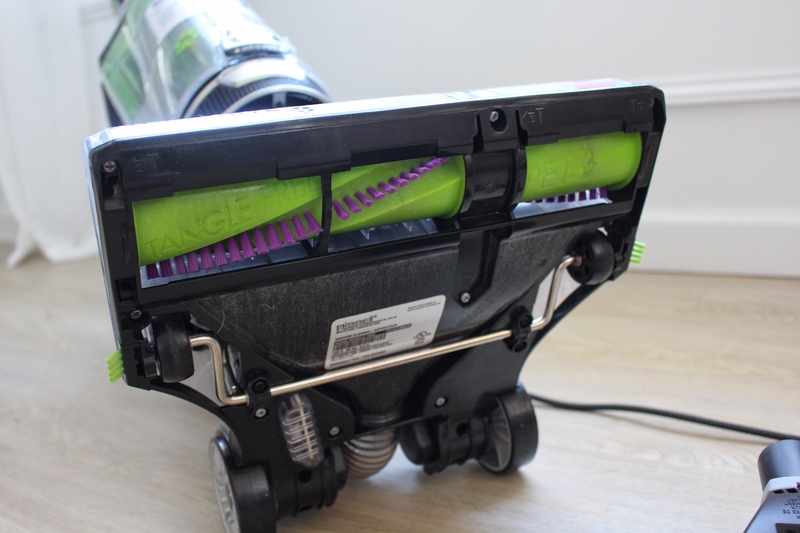 The suction parts have a rubber piece that grips the hair out of rugs and fabric. It has enhanced swivel design. It has an allergen smart seal system with Febreze. It vacuums edge to edge! 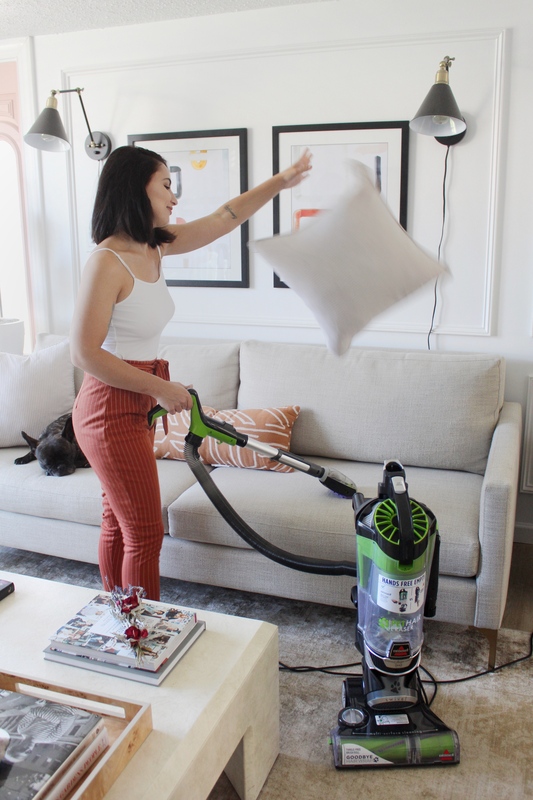 Heads up: I would consider this on the heavier side so if weight is something you’re worried about you might want to look at another vacuum from P.C. Richard and Son. They have a lot of great options! A once in a lifetime shot of my vacuuming without dogs biting my ankles. I think she might be impressed with the vacuum too. The brush rolls are tangle free. Yup. I’ve had this vacuum for a little while now and haven’t seen anything get caught yet. 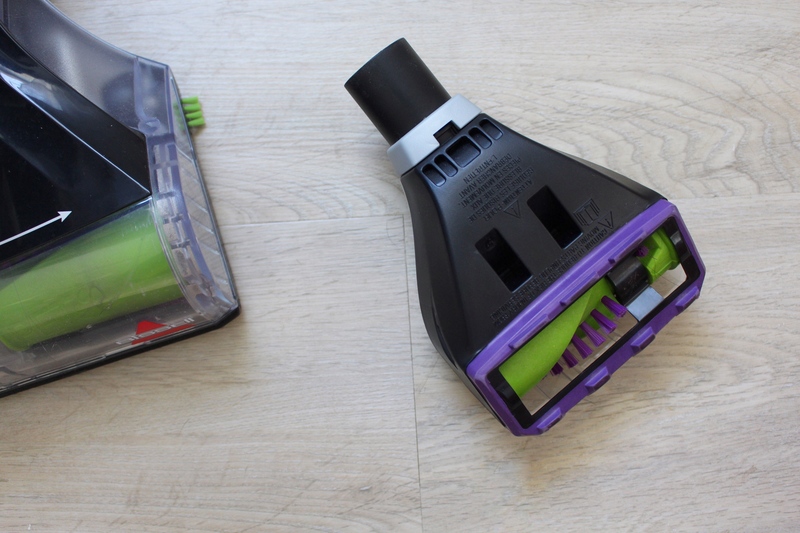 I used to have to razor or cut the hair out of my old vacuum. Gross! 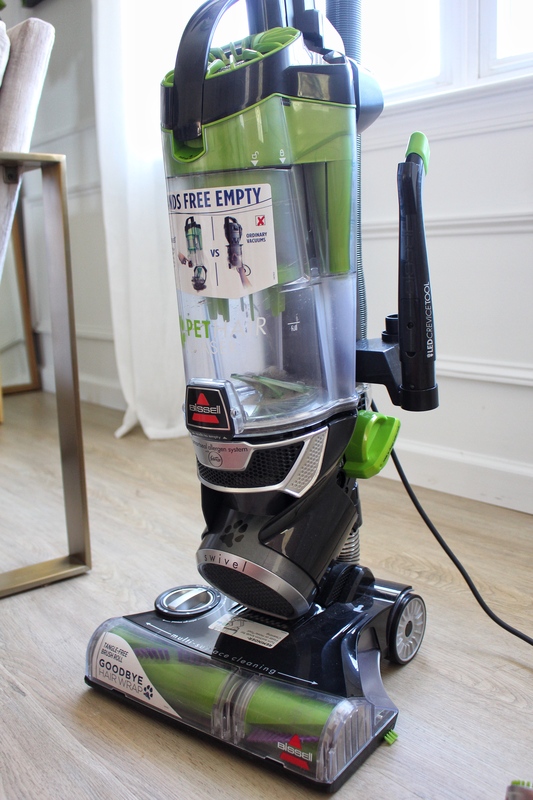 Another thing I love about this vacuum are the little green pieces at the bottom. It doesn’t look like a lot but it helps get the pet hair from against the wall. 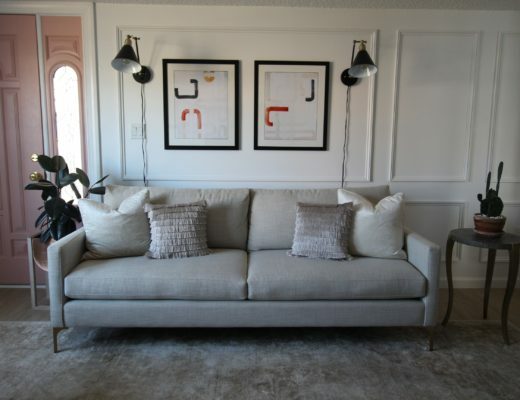 It gets the very edge of the walls / molding. The handheld roller has one of the best features.. the rubber grip. The purple part is rubber and it really grabs the hair out. I loveeee using this on the sofa. Let there be light! 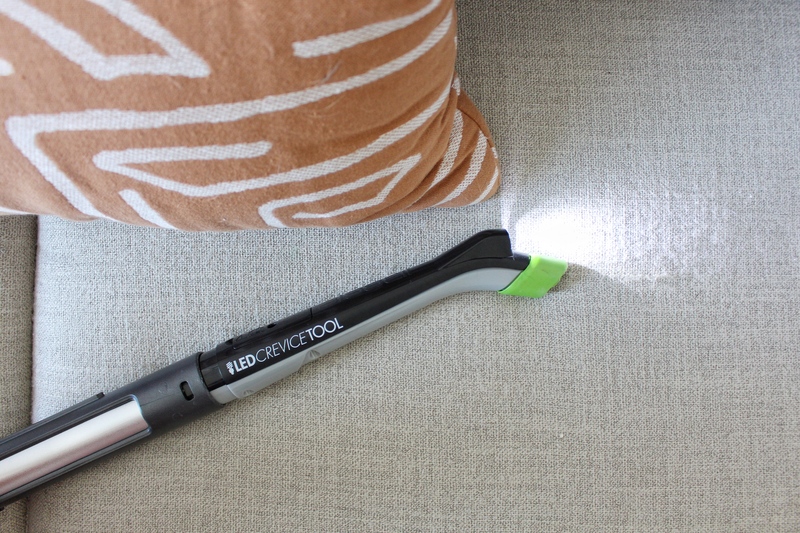 The LED lit crevice tool is great for cleaning the sofa too and under furniture. This little dusting brush also has the rubber feature. 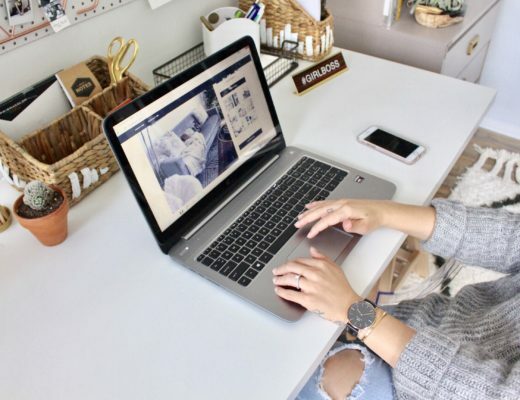 I noticed that part is KEY to getting rid of pet hair out of fabrics and rugs. You can use it on the regular floors too! It has a special setting. I also noticed when I vacuum the floors that it doesn’t send stuff flying everywhere. My other vacuum would just blow all the dirt away in the opposite direction. 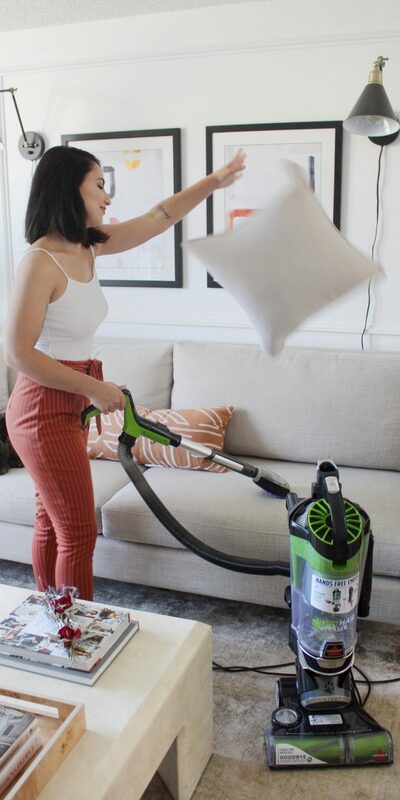 I even vacuum the pillows with this baby! It really gets the hair out of everything. It also helps cut back on the pilling on the sofa! I hope this helped answer some questions and gives you a better idea of what kind of vacuum to get. If you’re interested in seeing more vacuums at P.C. Richard and Son you can visit them in store or even more online! Have fun cleaning! JK I know that’s not a thing.